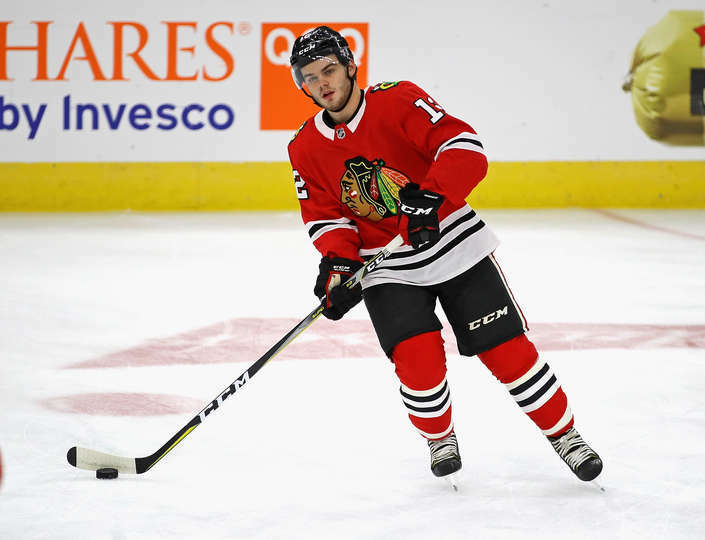 With three players on waivers and another – Vinnie Hinostroza – sent to Rockford on Monday, it appears the Blackhawks have their roster ready to go for the start of the 2017-18 regular season. Not a lot of surprises here, though many – including us – would have preferred Hinostroza to Bouma (both financially and the quality of the player). DeBrincat and Hayden clearly played their way onto the roster for the opener, and the Hawks’ top nine looks vastly improved from last year. Indeed, a third line of Sharp, Anisimov and DeBrincat has a lot of intrigue heading into the season. The player to watch in this group is Hartman, though. He’ll get the money spot with Schmaltz and Kane to begin the season, though DeBrincat showed some good chemistry on that line during the preseason. If Sharp is fully recovered, the Hawks should have an exciting offensive group this season. Franson will have to wait until the rosters are final and Marian Hossa is placed on LTIR to get a contract, but it appears the Hawks will start the season with eight defensemen. The guy to watch here is Rutta, who had a really good training camp. Coach Joel Quenneville compliment Rutta when the effort around him lacked on a couple occasions, and he’ll get some run with Kempny to open the season. Murphy is adjusting to the Hawks’ style of play but he brings a big body the Hawks have needed on the blue line. Forsling and Seabrook will be an important pair, with everyone hoping Forsling takes another big step this year. Forsberg is the next in line to back up Crawford between the pipes in Chicago, and he’ll get opportunities in Chicago that he’ll enjoy behind a better team than he’s had in the past. thank god they are letting the kids play! PP looks way better with much more net front presence even in preseason: hayden could be key there. now if Q and company can support and teach the fragile young egos, we may have something special come spring. Are you sure that Hartman will be on the Kane line? DeBrincat or Sharp seemed to be playing with Kane and Schmaltz 90% of the time, or more, during pre-season. Other than keep slow skater Lance Bouma, it looks good. Better forwards and likely faster on Defense. Although I really liked Forsling’s start last year, he regressed his way back to Rockford. A huge step up will be required of him. Like what I have seen of Rutta, but paired with Kempny might open door for panic passing. Go Hawks. Forwards will be exciting to watch this year. Have some intriguing younger players in rockford also to help out if need be. Defense is scary but I really hope they give Forsling 20 minutes a night to play. Let him learn and grow. Third pairing their fine between #6 #44 #11 and #82. It will interesting to see how Snuggerud plays this year. Either way can’t wait for the hawks to start on Thursday. And they will face a Pens team who will have the rust shaken off the night before. Looking at the top three lines my guess is Toews line will be 20 goals better than last year. Schmaltz line to be about 25 goals worse and Anisimov line 25 goals better. Defensively the first and second line will be better. You can’t lose Hossa and not get worse on defense so I feel the third line will be worse on D. Overall big improvements on the first and third lines. Of course hopeful the 4th line will be improved but at this point not convinced except glad 22 has moved on. It has a good start by playing Kero at center. They had no choice but to get younger on defense. I think this team will be fun to watch this year and with all the changes it’s already taking some of the sting out of what happened in the playoffs. SB couldn’t bring back that same team. Nobody would watch the games! As far as I know the 2nd/3rd line combos of 38-8-88 and 10-15-12 were the practice lines on Monday which was the first time Hartman and DeBrincat switched wings. So let’s see how they lineup on Tuesday and Wednesday practice before we can be sure it’s not just Q trying something different. Regardless, I like the composition of the lineup and think it’s better than last season. Jurco will do well in Rockford. A tweener. Glad he did not make it simply because Stan gave up a 3rd rounder. Stan got the 3rd rounder back from Dallas in exchange for moving down a few spots in the first round. Love the way Tootoo stuck up for teammates but the bottom line is the Hawks lost in the first round. Cross your fingers on Gustov. Yikes ! Shaky at best in the preseason but he will be better in the regular season ? Wow! That’s wishful thinking. I agree. Hinostroza would be better than bouma. I agree about Jurco. I was a bit surprised that he was waived, seeing that he’d been talked up so much regarding his upside. It seems like Stan thought he would have the type of development that Panik showed. But with guys like #12, #40 etc. showing as well as they did, and other factors, he just didn’t fit into the final roster. Maybe with the type of supposed plans for increased player development they have in Rockford, Jurco can do well down there and also be a suitable call up when guys are injured. As for Gustav Forsling ….. those turnovers have to be minimized. Think about how turnovers have hobbled the Blackhawks at the blue line the last few seasons. Sure want to see better consistent puck handling from him. 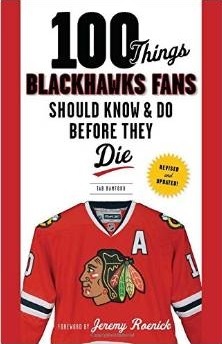 It’s a good thing they have that speed demon Seabrook- to cover for all of those horrible TO’s and Bad blueline standups that Forsling will make!!! After a great preseason for Mathias From and Rögle, where he was playing on the first line and produced a lot of points, he had an on-ice accident (his skate got stuck in the ice) the last day before the regular season started, and was sent to the hospital. Fortunately he wasn’t seriously injured and after having missed the first 3 games of the season he joined his team two days ago in the derby against arch rivals Malmö. In a crazy game that ended in a Rögle 8-7 OT win, Mathias scored his first goal of the season. Furthermore he got an assist and ended with +3. According to the Swedish newspaper Aftonbladed, he was the second best player on ice only behind hat trick scorer Edwin Hedberg. In an interview some weeks ago, Mathias told the reporter that he feels that he has matured a lot since last season. He has become smarter in his game and knows when to take a chance, and when he shouldn’t. I believe that if he avoids injuries, he will have his break-out season, and become a top player in the SHL. If everything pans out he will become a NHL player within 3 years. I dont beleive you guys still answer and chat with the Trool….iff you ignore the Trool he will leave …anyway. Iff you like to see him post 50 stupid post per day . I would love to see DCat get a 15-20 goals this year with mayne 40 Pts . Somebody has news from Snug ?? Hhnl …you are right ….too bad i really like it here before the Trool arrive …now its over …we will need to move on ….Nothing is forever..
Cant beleive that just one Trool and Committed to Indians is gone .